Dog owners often ponder over registering on a dog training website and not a few of them have requested for my informed opinion. They (Dog owners) are always eager to know if it is a good investment or if the smart option is to employ the services of a professional trainer in person. The rate at which numerous lovers of the pet are turning themselves into dog trainers these days is alarming. One must note that they are very different from each other. That close family friend of yours may be crazy about dogs but it doesn’t imply that he/she is the person you need to train your dog. 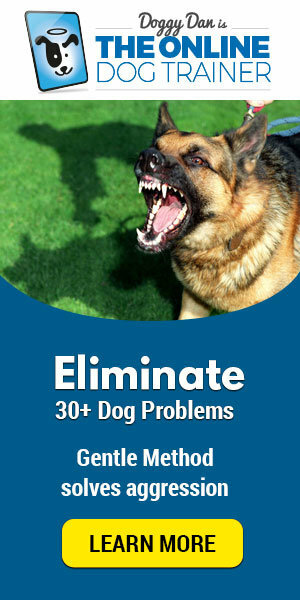 Some of these self-acclaimed dog trainers lack the requisite qualifications and experience to be effective in the role. However, there are quite a few qualified trainers who you can rely on but locating them may not be easy. In fact, it is advisable to only go for trainers with one or two positive reviews from friends or relatives. In contrast to online training, when a trainer visits you in person, he can see the dog in close contact and assess it. This opportunity makes it easy for the trainer to create a training schedule which is specific for the dog in question because he has been able to identify the dog’s need and personality at close range. What about Online Dog training? It may surprise you to find out that online training offers much more than physical trainers. The experience is usually exciting and quite revealing. The number of cases they handle and the quality of the training provided will wow you. There is a high possibility that these online trainers will cover more broad areas of dog training but you have to choose carefully. Log on to websites that have been referred by friends and loved ones. You can also choose to scan through different testimonials from their past and present clients before settling for one of them. Moreover, the internet is filled with stories of people giving rave reviews about their favorite trainers; all you have to do is search for them. Firstly, you have to discard the popular opinion that the most expensive services offer the best training. Although most dog owners are ready to spend whatever is needed to put their dog in the right shape, most of them can overspend money on several trainers in a bid to get the right one. The average minimum price for inviting a trainer to your house is $50 per the first hour. What this means is that, anyone who charges lower than that should have his capacity assessed. Also, the maximum amount you will be charged for a few hours of training is $500. You must make sure you are aware of the number of sessions that will be involved as the cumulative cost may be significantly above what was stated initially. The usual convention is for trainers to forge a bond with the client before shedding more light on the severity of the dog’s case. In some cases, your dog will go through many more sessions without any significant improvement after spending as much as $500. The majority of websites which are based on creating and selling videos ask for about $40 for sign up fee. The fee will make you entitled to some videos, audios and manuals. There are even sites which will give you a trial access for as little as $1. An example of such is ‘theonlinedogtrainer.com‘ which offers you the option of viewing the website before paying the sign-up fee. With this option, you can be confident about the quality of their services. Conclusion– Online Dog Training clearly wins this as it is more cost effective. Nowadays, the possibility of finding an exciting, dedicated and reliable trainer around your locality is low. In fact, the fact that you are going through this means you are likely not to have found one. One of the most lovely things about training dogs online is the simplicity or ease of using them. It’s so easy that you can have access to them anytime and from any location in the globe. Regardless of where you are(work or home), you can quickly log in and implement the different recommendations posted there. This is even more valuable for nursing mothers as they can easily check up the latest on dog training when the children are asleep. We have to state that the fact that the training is done online does not mean it would not involve your time at all. The beautiful part of it is that everybody can choose to engage in it when they are free. However, there are challenges like how to gather the family together in the same room and at the same time and how to split the length of the training into shorter sessions. Online dog trainers often love to engage in sessions as long as four hours because it reduces their travel time but the reality is that it may be too long. The fact that internet based dog training requires some computer skills unlike the physical training does not mean much because almost anyone can operate a computer or a smartphone nowadays. Conclusion– The Online Dog training is more simple to use and easily accessible. There are times when the trainers would see the need to check up on the dog many times; when this happens, to avoid any problems, the owner has to ensure that it is all captured in the total expenses. It is understandable that the more you spend, the more you would be eager to start seeing results. Nonetheless, one has to realize that there may come a time when the number of sessions and visits would not make as much impact as you had hoped. What do you do? Contact the customer care even if it is part of the price you would pay. 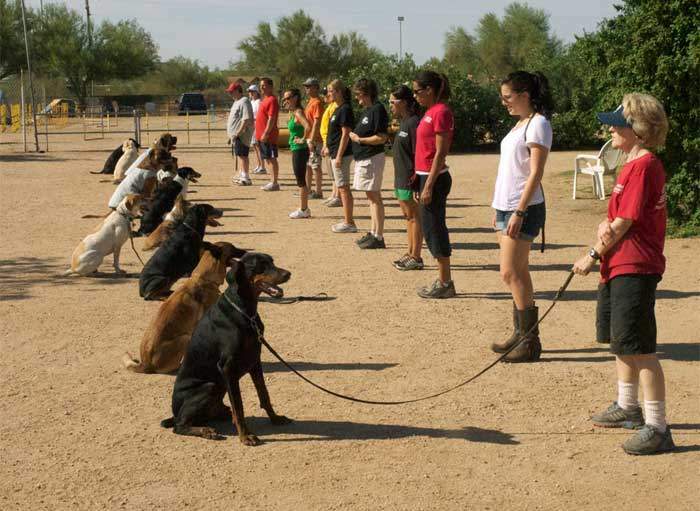 On a number of pet training sites, one would find a section specifically dedicated to asking and answering questions. In some websites, you would get the option of attaching links to videos which a dog trainer can watch and fully understand your questions. For example, one can choose to record a video of his troublesome dog, put it up on youtube and send the link to the trainer to watch to have a clear picture of what one is dealing with. In a nut shell, we must have realized how difficult it is to better a well organized online service regarding price and simplicity or ease of usage. We cannot overemphasize the importance of technology and how it has used videos to great effect. When we have a close look at support, we will discover that the level of support one gets is proportional to the quality of the training solution one selects. Both types of training are capable of giving you a high level of support. In the same vein, the aspect of quality revealed that while there are some well-experienced trainers in the physical, there are also wonderful trainers online. One just have to know that the key factor for a lot of dog owners is that the possibility of locating a super, top notch dog trainer is significantly low. The most important step is selecting a reliable training service or solution. Thus, when you consider all four aspects of Price, Simplicity of use, Quality and Level of Support, it will be hard to find a better solution website than ‘theonlinedogtrainer.com‘ by Doggy Dan. In this site, you are sure to get almost all key aspects covered because it is simple to use, affordable, offers super quality sessions and provides you with an opportunity to ask questions when you want to. In fact, you can check up the site by paying just $1. The fact that it is loaded with over 200 videos gives us the confidence to recommend it to anyone seeking a solution to any dog training problem. There is also a dedicated section for helping you to comprehend how to rise to the level of the pack leader without being afraid or aggressive as this is very vital for success in the long run.